Welcome to Magazine Monday. 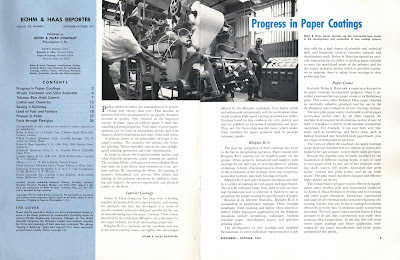 Rohm & Haas was a leading supplier of chemicals for the paper industry and Plexiglas. 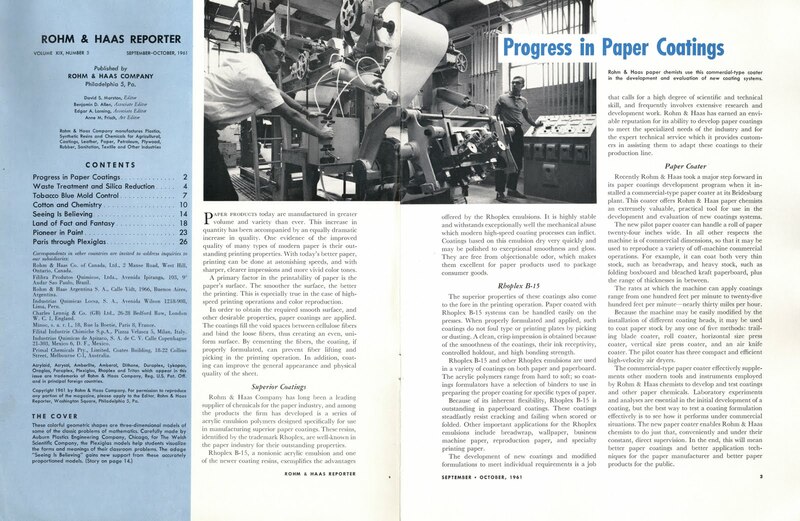 They're still around (link) but as of 2001 they are a Wholly Owned Subsidiary of The Dow Chemical Company. 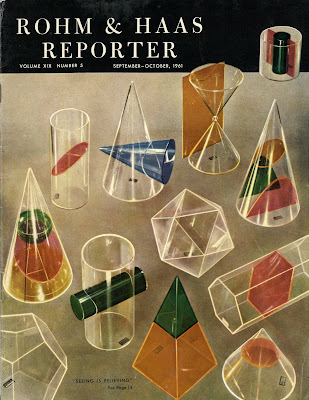 The cover of this September – October 1961 edition of Rohm & Haas Reporter features some cool little Plexiglas shapes. 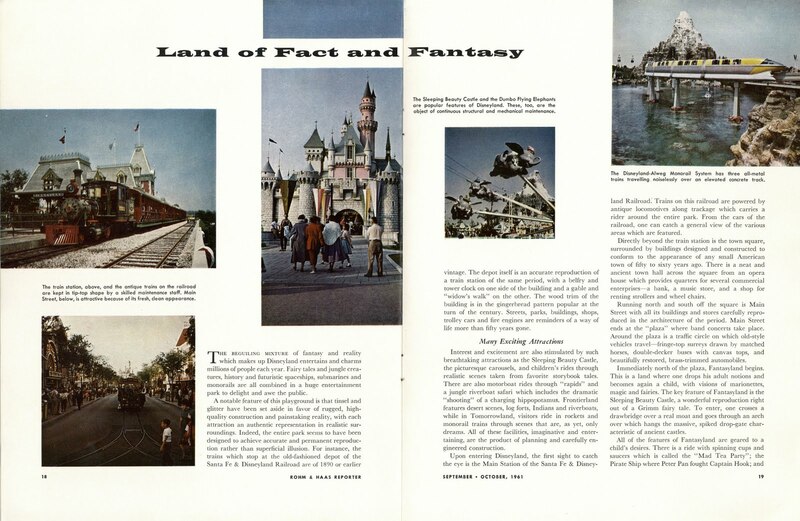 This five page article on Disneyland is a bit of a recycle from the large format guide books of the late 1950’s, but still has some fun photos and is a great read. You mean to tell me those crocodiles aren’t real? Lots of technical stuff about Acrylic emulsions and formulas. Today’s paint at Disneyland looks amazing, almost like its still in liquid form - now I’m thinking they’ve been using high tech paints for decades. The Living Desert really was a Painted Desert! 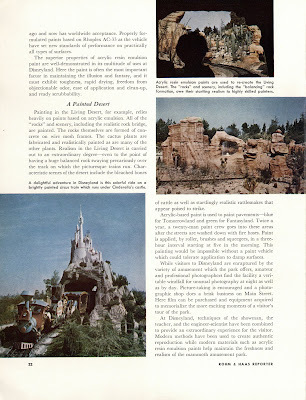 Hey, there’s talk about the slurry in Tomorrowland (blue) and Fantasyland (green). All this time I’ve been calling it slurry when it’s really just “Acrylic-based paint”. Whatever its called I want it back! There are no advertisements in this trade magazine so you’re going to learn about chemicals. If I’m not mistaken the reason this magazine has aged so well is explained right here. 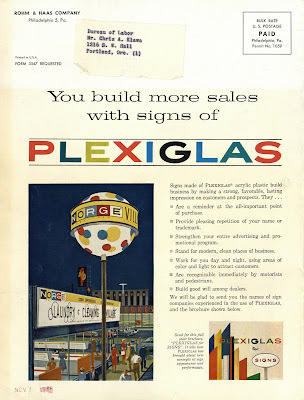 Those Plexiglas models look fun to play with, I wonder what it sounds like if they all hit the floor at once?. 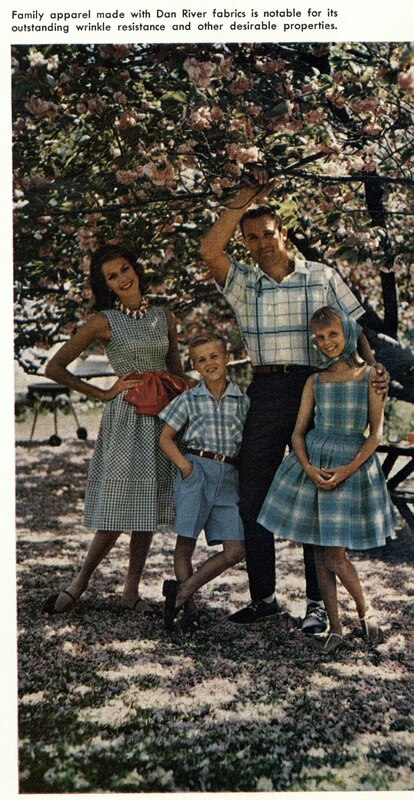 Apparently Dan River used chemical in its fabrics, who knew? 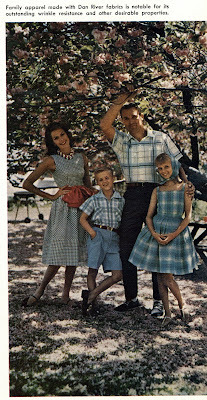 I’m not sure about the ladies, but the men’s clothes look cool and contemporary to me. 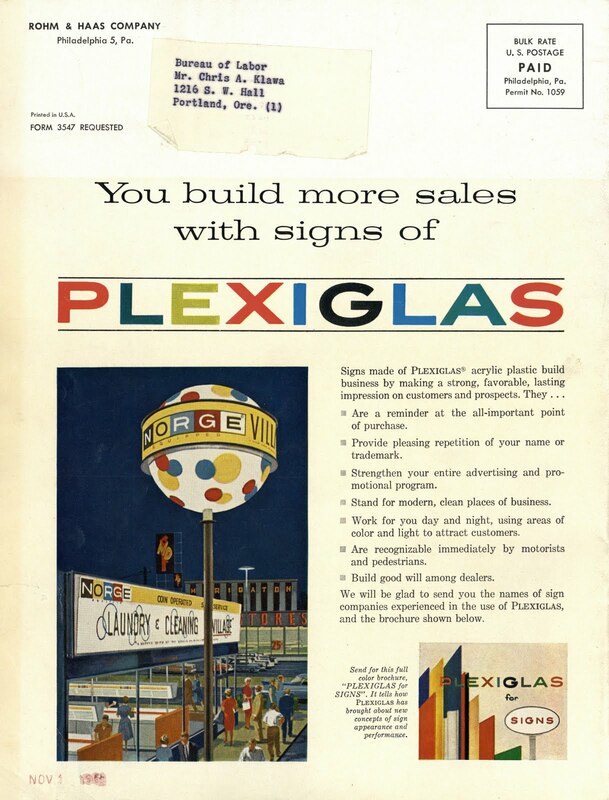 In the early 70’s we had a dry cleaners at the corner of Fallbrook & Victory (attached to the Food King) they had a Plexiglas ball exactly like the one shown here, it always reminded me of Wonder Bread. What a great item! I'd love it just for the photo of the polka-dotted ball on the back cover; there used to be one of those somewhere when I was a kid. 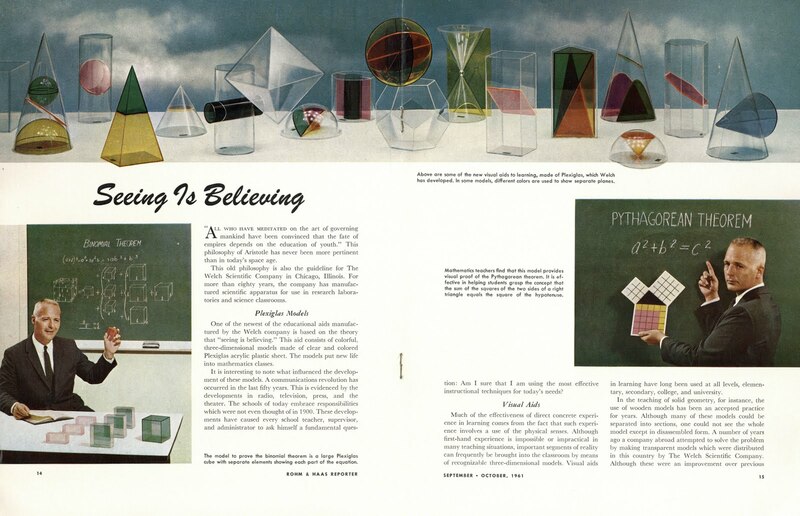 There is a store near here that specializes is plexi, and their showroom has all kinds of boxes, tubes, sheets and shapes of the stuff in brilliant colors. It looks like jello, I want to eat them. I spent many an hour with Mom at the Norge Village. Good to see the logo after all these years. I'm going to read this at leisure, it sounds fascinating, especially the coatings. 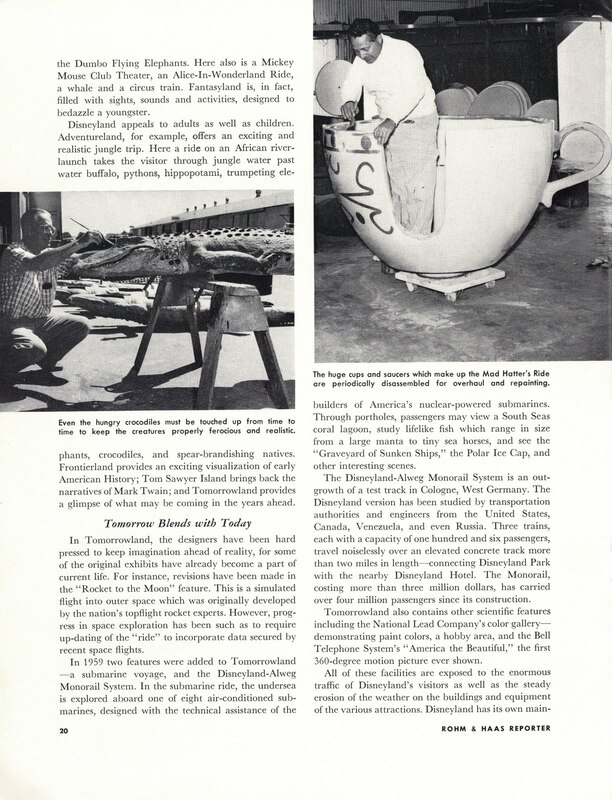 If you wonder about coatings, think 'ToonTown' that whole place is held together with some super-sophisticated goop, trust me. Also the waterproofing on the Space Mountain was "state-of-the-art" for 1976. 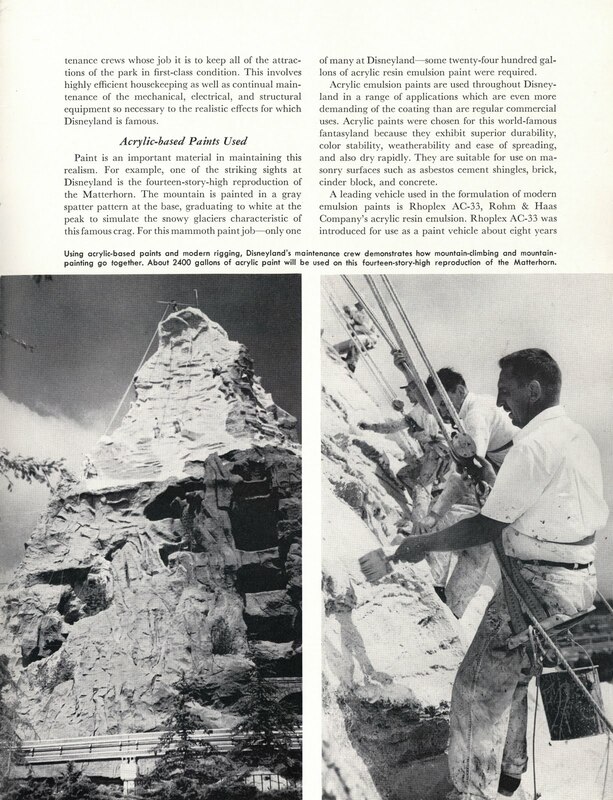 Now those coatings are everywhere, but that roof was something special back then.